Who knows how good Dannny Woodhead could be if he could just stay healthy? Baltimore Ravens running back Danny Woodhead will be out approximately 4-6 weeks according to NFL Network’s Ian Rapoport. Woodhead injured his hamstring in the Ravens’ Week 1 matchup against the Cincinnati Bengals. Woodhead hurt his hamstring during the game and was listed as questionable to return. But he didn’t and is now out. Woodhead’s career has been plagued with a variety of injuries from his 2016 torn ACL to other minor injuries that have kept him out of games. The Ravens expected Woodhead to be a valuable piece to the offense, as the Ravens signed him to a three-year, $8.8 million contract back in March. He was brought in to be a pass-catching option out of the backfield, and had three catches for 33 yards and one carry for four yards before injuring his hamstring. 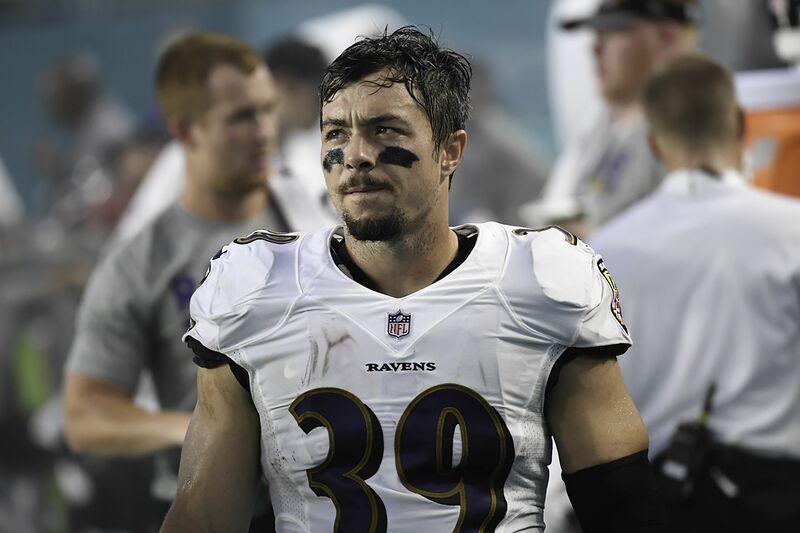 #Ravens RB Danny Woodhead (hamstring) is expected to be out roughly 4-6 weeks, sources say. The bright side is he’ll be back this season. The good news is that Woodhead will be back this season. The Ravens may decide to put Woodhead on injured reserve with the intention to return. The question now will be what the Ravens do at the running back position. Under contract currently are Terrance West and Javorius Allen. The Ravens were already short-handed in the backfield. specially after Kenneth Dixon injured his meniscus and was ruled out for the season. With Woodhead now out, it would make sense for the Ravens to look to acquire another running back in the meantime as Baltimore desperately needs one. The Ravens do have running backs Jeremy Langford and Alex Collins on the practice roster, so one may be called up in time for Week 2. The news is unfortunate for Woodhead and the Ravens as he can seem to never catch a break with injuries. Still, the silver lining is that Woodhead will be back this season, something that should help the Ravens as they look to make the playoffs. Woodhead was a huge complementary piece to West as he was more of a runner while Woodhead was a pass catcher, and they each added a different element to the backfield. For now, the Ravens will be without Woodhead for 4-6 weeks.